One of the Christmas gifts that my lovely wife gave me this year was a calendar simply titled "Trees." Each month's picture is of a tree, or trees, from one view or another. I've always found trees interesting, a big factor, I'm sure, in my love of bonsai. Several of the pictures show trees that are good models for bonsai; here is one of those. Photo credit to TF Publishing. No copyright restrictions found. 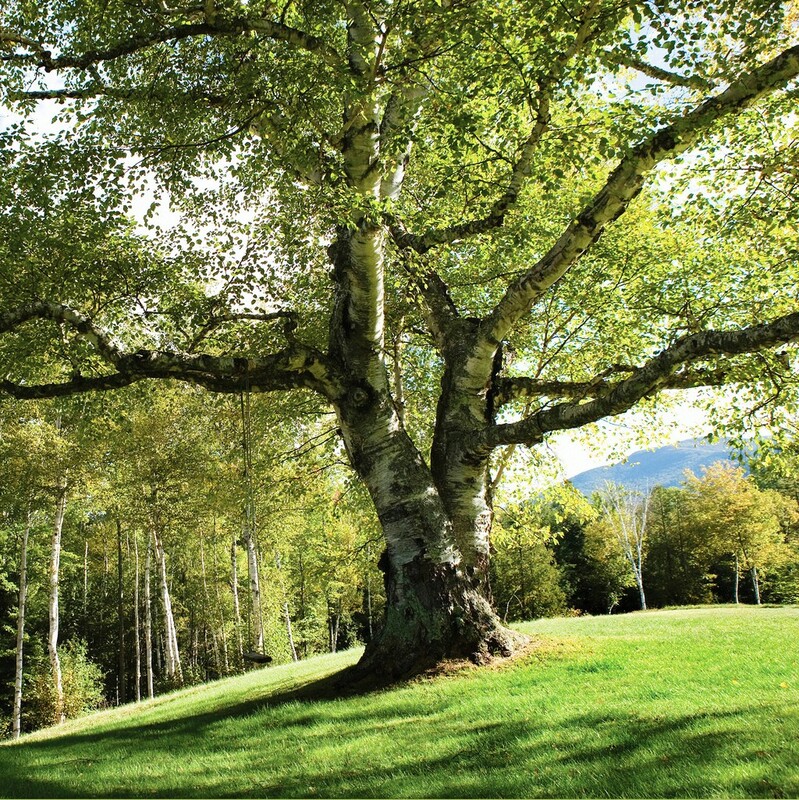 This a birch; if I had to guess, I'd guess a paper birch (Betula papyrifera.) But while I can't be sure of the tree's species, I am sure it offers a great deal of visual interest in its lines and form. Here's an image on which to base a bonsai: strong, well-rooted, well developed, thriving, mature. The late John Naka, in his well-known Bonsai Techniques, included a number of pictures of trees, each tree's picture paired with the sketch for a bonsai which he had developed from that picture. It's worth noting that, more than once, he ignored an accepted design rule or two in order to stay faithful to the living tree's image. Besides demonstrating a very useful technique with those pictures and the derived drawings, Naka gave his readers a non-verbal reminder: the art of bonsai is about trees, and tree images. One of the pithy sayings for which he was known puts it another way: "One trip to the mountains is worth 10 workshops!"